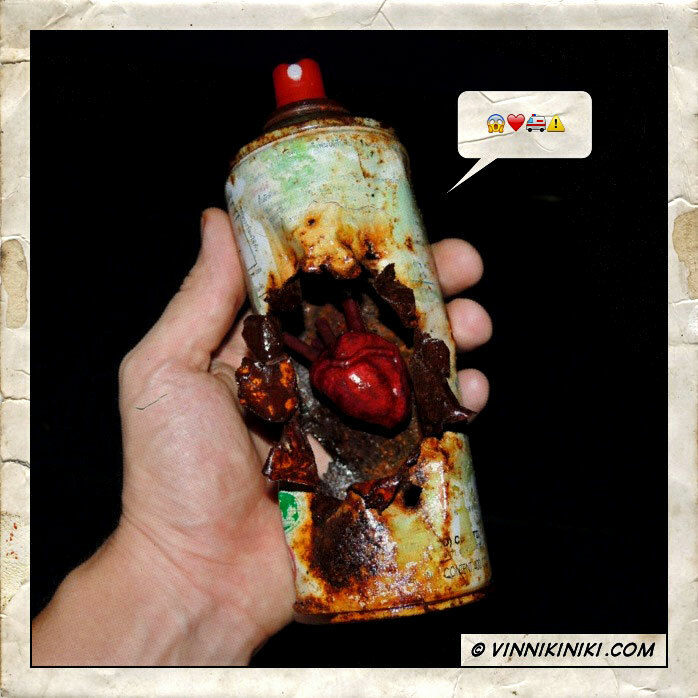 “HeART & Soul” Spray can sculpture art – 2013 – Found objects, clay, acrylics. 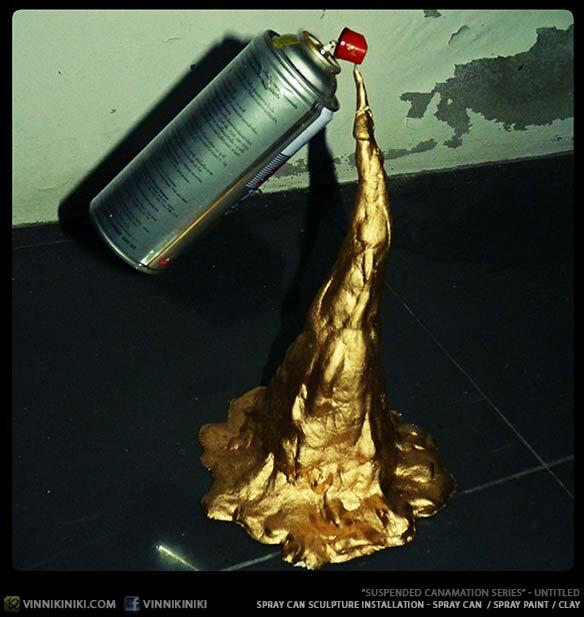 For those of you who have been following my work for a while will know i love to create spray can art. 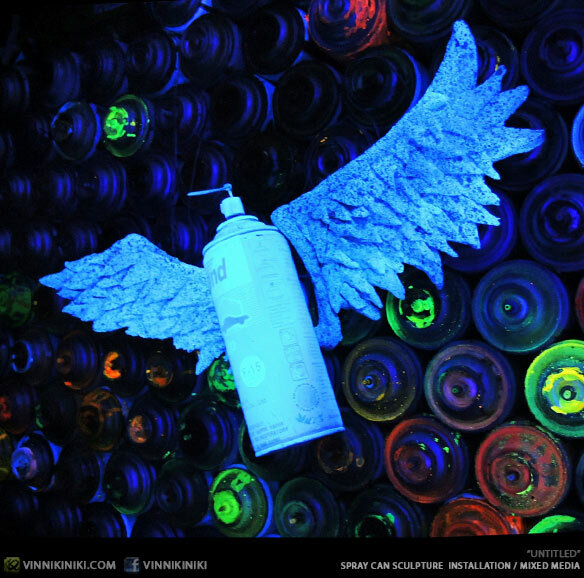 Meaning art made from used empty spray cans. 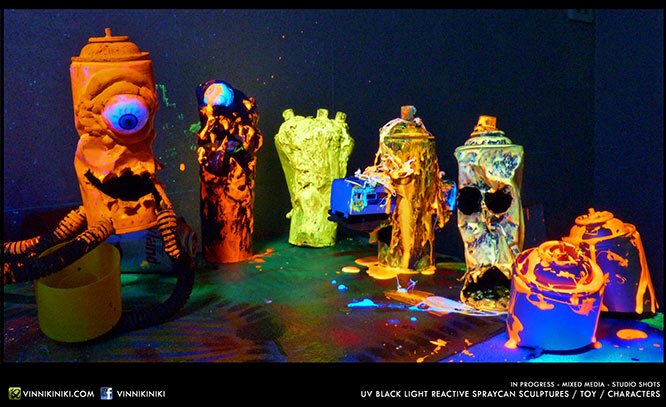 To classify them as objects they are somewhere in-between a sculpture and a toy character design. Every one i create has it’s own story. This one in particular was a can i had intentionally left outside of my art studio to intentionally rust, rot and generally get exposed to the elements, there is something i really like about the sun stripped colour bleaching effect. 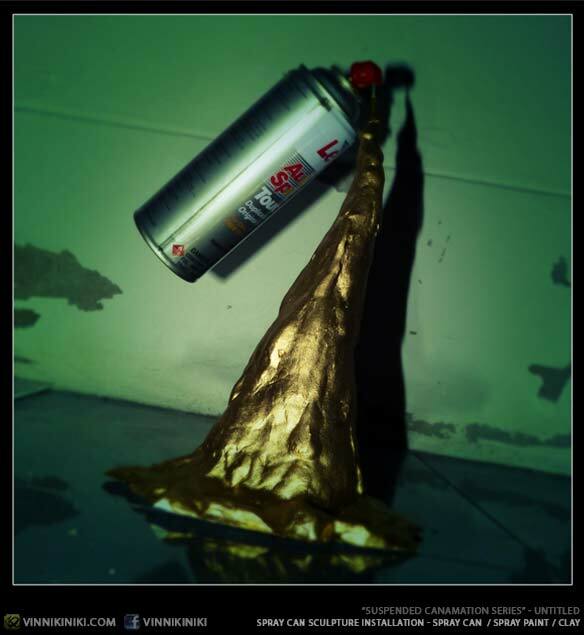 I wanted to induce an element of raw grit, street rawness, this spray can is a survivor, it’s gone through the school of heart knocks. 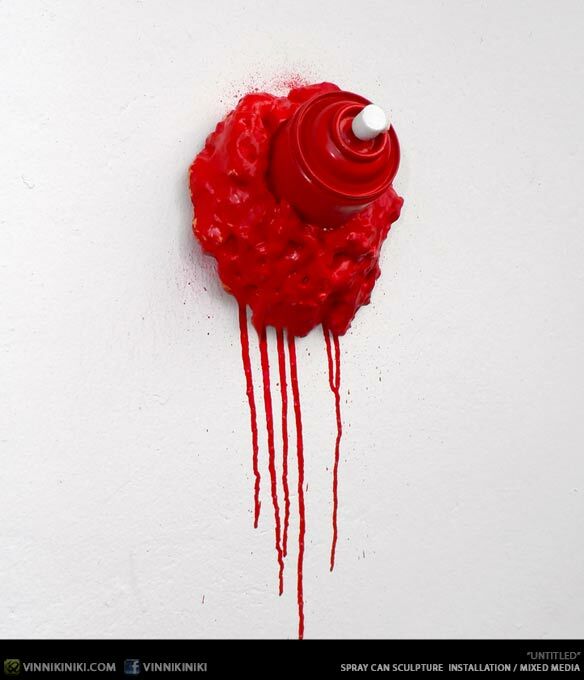 It’s honest and exposed and has it’s heart on show. 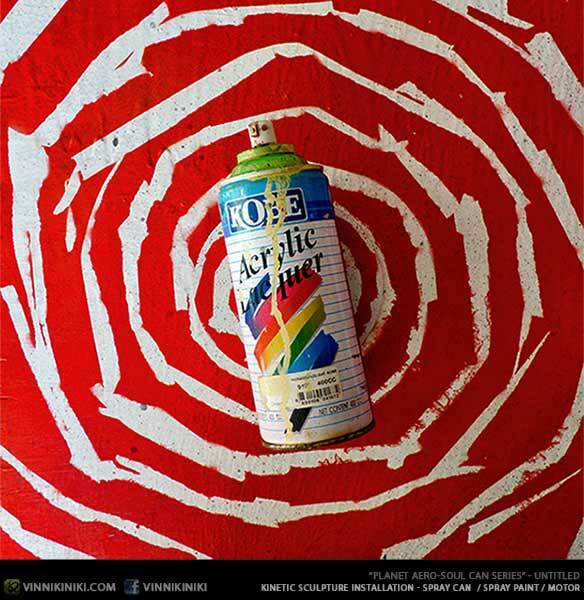 It’s a symbol of a love for what i do, a love for graffiti and spray can art. It’s also some what macabre looking, graffiti can be a dangerous activity, perhaps this can is simply spent… in all senses of the word. 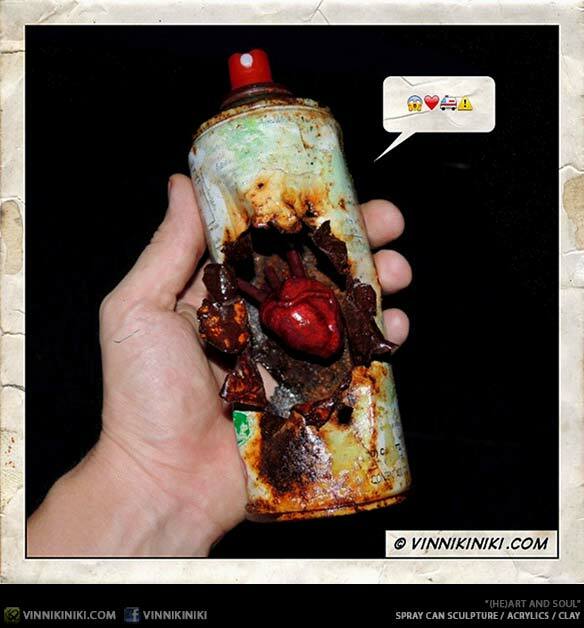 Actually, i’m spinning the story as i got along typing… Originally i meant this spray can to have an “Autopsy” feel to it. 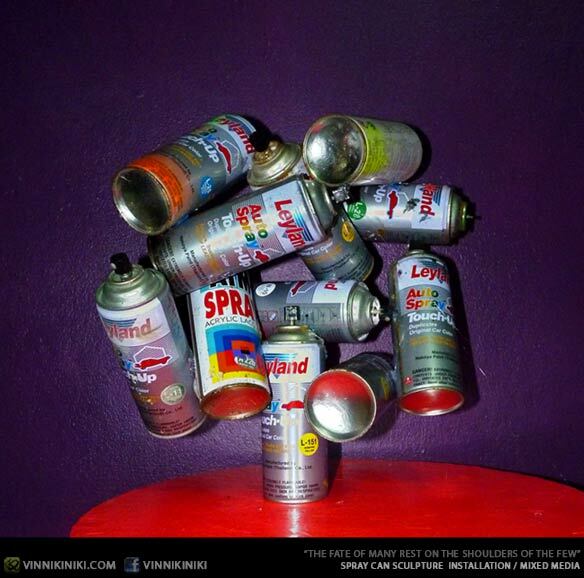 I had a vision of creating a kinetic spray can sculpture. It was going to be made using this spray can but i think it’s good as it is. It’s raw and elemental looking, which i like.., Although the original plan was to insert a water pump from behind the heart. To then position the spray can on a metal plate resembling an autopsy table and have a blood like fluid pump from out of the can. I still plan to do so, but i’ll probably do so with another spray can, and i would make the heart somewhat bigger. At the time of publishing this article this piece is still on sale. If i still have it when i finally sort out my web store i will put it up on sale, in the mean time if you are interested in purchasing the sculpture you can contact me through the website. Thanks for reading and as always please feel free to drop your comments. What do the piece say to you? 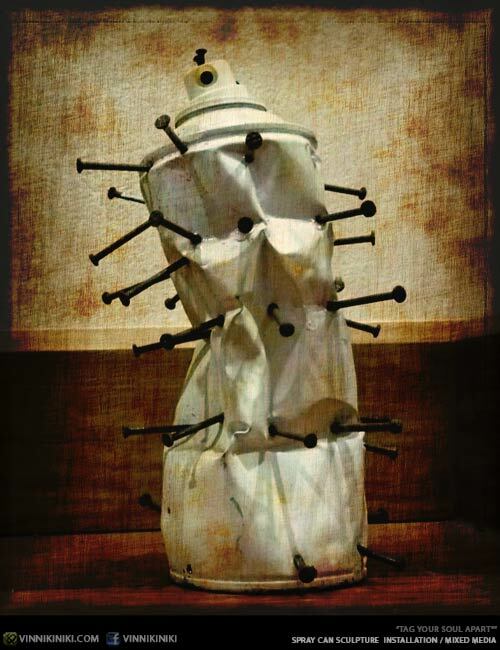 Can you draw any profound meaning from it? Do you like it? 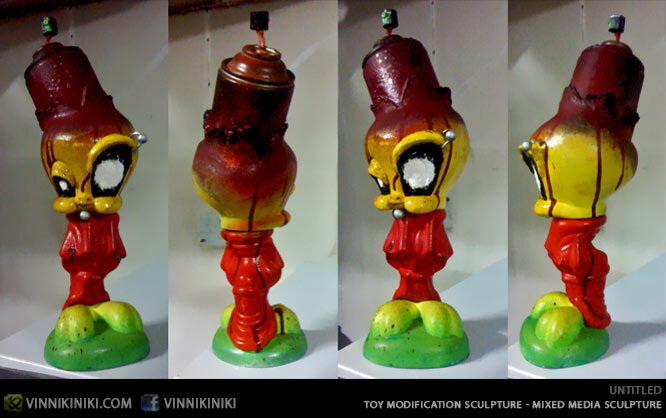 More spray can sculpture theory can be found here and I’ve attached more photos from my spray can art portfolio below.